There is no one supplement that will ever bring you the results that you desire. When first starting out it is very tempting to buy the next “magic pill” that is going to make you thin or get you ripped. The reality is, 95% of the supplements out there are straight crap. As for the other 5%, there are some that will help in improving your overall health and help with the results you are looking for. Once again though, supplements alone will not bring you results. The combination of eating the right foods and doing the right exercises is what your focus should be on! Supplements are simply an add on to your daily regimen. If you eat a balanced diet with lots of vegetables and whole natural foods, many times you will not need to take a multi-vitamin. The reason to take one however is to ensure that you are getting enough vitamins and minerals into your diet. It is a good back up plan to have, and it won’t hurt to take one daily. One that I have been hearing a lot of talk about as of late is a product called, Athletic Greens. It is a multi vitamin on steroids (ok not actual steroids!) and I have only heard very positive reviews about it. It is a little pricier than most multi-vitamins (and I have heard the taste is pretty bad) but other than that it is said to be an incredible product. I will be ordering my first batch soon so I will give you my full review after cycling through it! These are just a few of the many benefits that fish oils can bring. 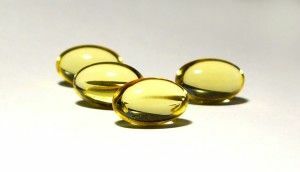 Fish oils are a “must” supplement that people should take. I do not recommend having more than one protein shake a day. The best times to have your protein shake is either after a workout or first thing in the morning. Other than that, fill yourself with real food! The best kind of protein you can get is grass fed whey protein. Grass Fed Whey is much more expensive but if you can pocket it, that is the way to go. If not, you can stick with any good whey protein powder. Just be sure to take it after workouts or within 30 minutes of waking up. For Grass Fed Whey, click HERE! You can find lots of different whey protein options HERE! And many more! My brother swears by Vitamin D supplements especially when it comes to getting sick. He will take 4-5 capsules when he feels a sickness coming on, and says it works every time to stop the oncoming sickness in its tracks. The best way to get your Vitamin D is through the natural source of sunlight. For some however, sunlight isn’t always an option for one reason or another (winter, work inside all day, etc.) If that’s the case, be sure to supplement with some Vitamin D to make up for the missed sunlight. For supplementation it is recommended to take 4000 IU per day if you cannot get into the sunlight. If the sun is available, I always recommend doing that first to get your Vitamin D for the day. 20-30 minutes is usually enough time to soak up all the Vitamin D you would need! You have always got to be careful when it comes to the supplements that are out there. The supplements above are ones that anyone can take and find benefits from. Remember, for optimal health, your focus should always be on the foods you eat and the workouts you do. This is what will bring you lifelong lasting health!